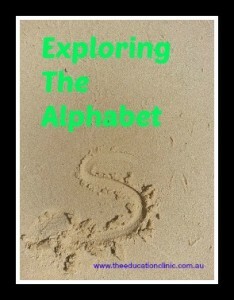 We have been looking at different ways children can explore the alphabet. These ideas can be used at home or in the classroom. Before children start to read the words on the page, it is a great idea to just let them explore, play and have fun with letters. Some children pick up the letter names and sounds just by seeing them in their everyday world. The first strategy shared was ‘Have a Variety of Alphabet Objects Available For Your Child To Look At And Play With’. Click here to read this post. • Decorating letter outlines – if you use interesting materials your child can trace their fingers over the top. Place all of these in a file and have a touchy alphabet! Many of the above activities relate to the writing of letters as well as reading them. These are all ways of exploring letters. By exploring letters in a variety of ways, your child has more experience with them. 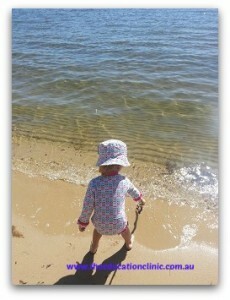 Hands on, active experiences are also a fun way of learning! I hope you can try one of these ideas this week! Let me know how you go.